Researching family? We can help. The Library’s Genealogy and Local History collection includes Native American roll books, local funeral home and cemetery records, access to census records, local newspapers on microfilm dating back to before statehood, and more – as well as access to Ancestry Library Edition on any library computer. The Genealogy collection is available any time the Library is open, but is not always staffed. To make an appointment with one of our Genealogy Librarians, contact us. Just want to see some history? Ask to view our collection of Presidential Signatures. You can hold something George Washington touched! 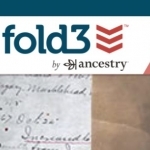 Fold 3 is one of the largest sources for military and census records, original documents, and Native American and African-American genealogy collections. 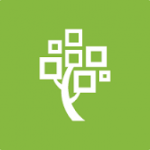 Family Search is the largest genealogy organization in the world – and you can create an account for free. Find A Grave is a free resource for finding the final resting places of millions of famous folks, friends and family members. 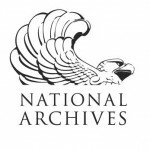 National Archives collects our nation’s history through historical documents and records. You can access works of art, census data, U.S. legal manuscripts, the Federal Register, and more. Also includes links for teachers! The Mayes County Genealogy Society typically meets at the Library on the second Monday of each month at 7 pm. Check our Events Calendar to find the next meeting.